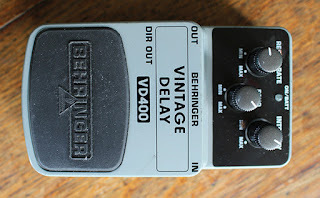 (Used Behringer Vintage Delay VD400 - Working). 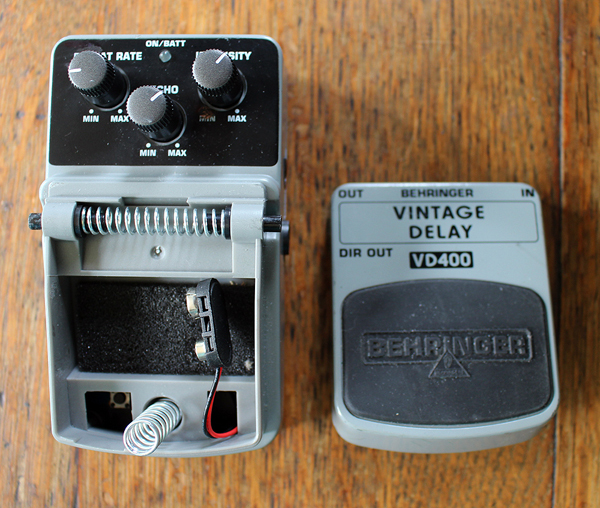 Behringer Delay Pedal in good order. A few blemishes but nothing serious. 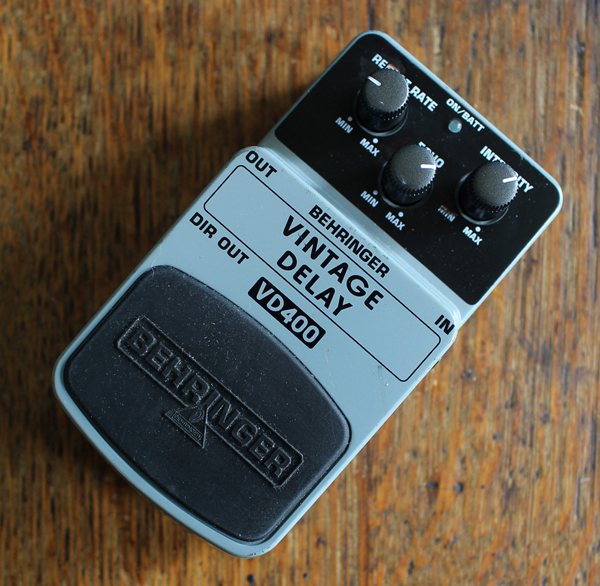 Great little Analogue Delay Pedal from the huge Behringer range. 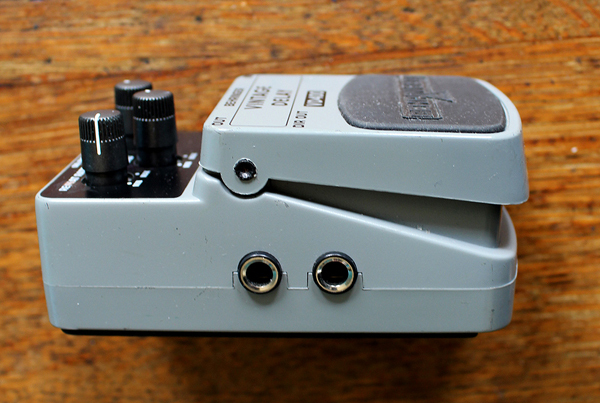 This pedal has been used. 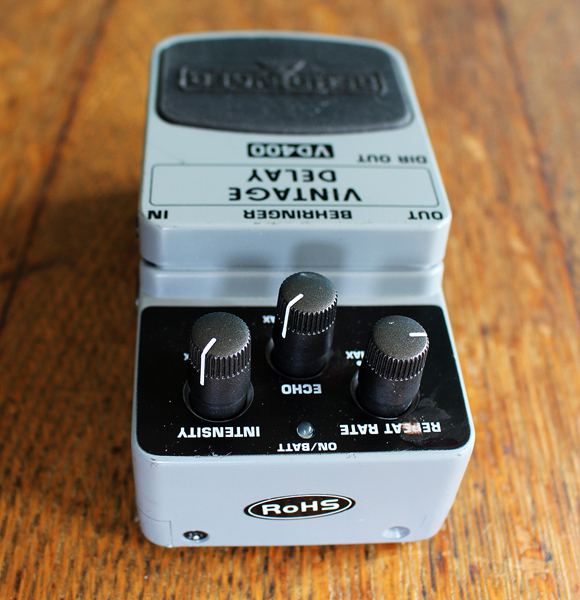 Pedal features controls for Repeat, Intensity and Echo with up to 300 ms of delay and advanced noise reduction circuit that keeps your signal clean. 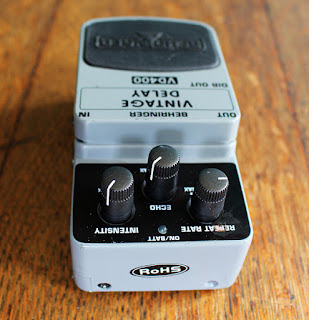 Similar in feel to the old Boss DM2 Analogue Delay. The Intensity can be controlled to feed back or create ambient washes. The repeat rate can change the sound from a 60s slap back to an echo like a tape delay sound. 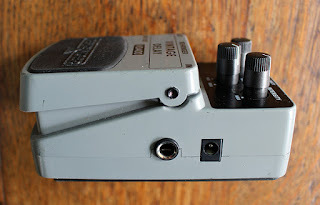 One input socket and two outputs. (out and direct out). Status LED for effect on/off and battery check. Runs on a single 9v alkaline battery or a 9V standard power supply (not supplied). This delay will allow you to do all the usual UFO sounds to keep the kids (and me!) 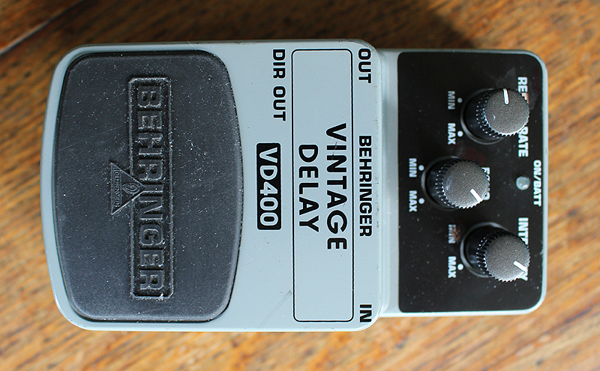 happy, but I like delays where you can set them just on the edge of self oscillation so you get some of those random harmonic overtones, and this delivers.